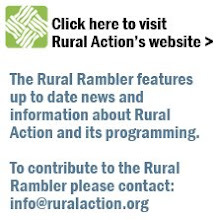 The Rural Rambler: Tonight! 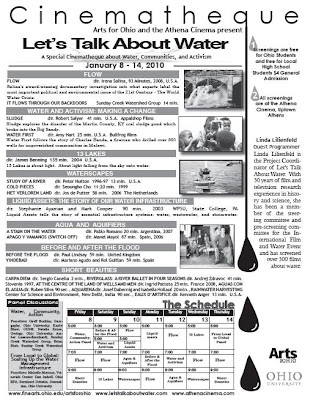 - The Opening of the Let's Talk About Water Film Series, featuring Sunday Creek! Tonight! - The Opening of the Let's Talk About Water Film Series, featuring Sunday Creek! This evening, Arts for Ohio and Cinematheque kick off a free weeklong series of films and discussion about one of our most precious resources in their new program, Let's Talk About Water. This weeklong event is free to Ohio University and local high school students with only $4 for general admission and will feature nightly films from around the world as well as discussion by two panels from local folks working with water in our own communities. Tonight's panel will feature your very own Sunday Creek in the spotlight as Amber Leasure-Earnhardt and Brian Blair from the Sunday Creek Watershed Group will be sitting in. Former Sunday Creek Coordinator Kaabe Shaw will also appear at the panel along with Ohio University Professor Dr. Natalie Kruse. 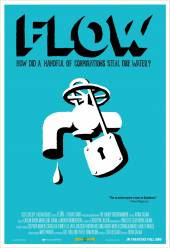 The panel will begin at 5:00pm tonight at the Athena on Court St. and will be followed by a showing of Sunday Creek's short kids film, "It flows through our backyards" and then the full length documentary Flow. It's free for all students and promises to be an engaging evening on a topic we can all relate to. Plus it's a warm cozy place to be on such a winter's day. Join us won't you? Hey, Let's Talk About Water. For more information about the film festival, including showtimes visit the Athena Theatre website, the Arts for Ohio programming page here, or the nifty flyer hovering just below.